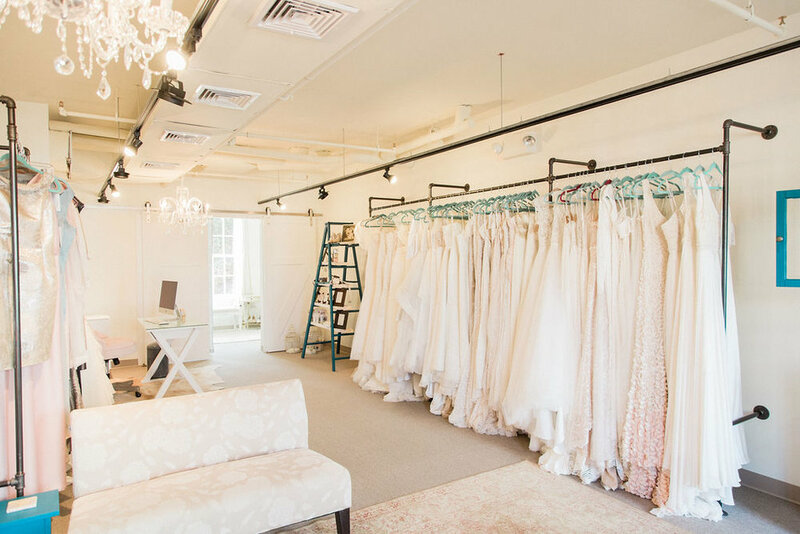 When I decided to open this bridal boutique on Cape Cod, I knew that I would offer wedding gowns that we believe in and love. That is why when it came to choosing designers, I looked for that something different, that something special, that pure quality. I could not be happier with the amazing designers who have joined us, and the amazing wedding dresses they bring to our shop! Theia, Clare La Faye, Widlerly, Made With Love, and Bluethread, fit seamlessly into Head Over Heels. The wedding gowns are unique and breathtaking. As you walk through my store, I hope that you will be instantly inspired. We have beautiful ways to accessorize your gown and complete your look. We also offer many custom gift items for the groom or your groomsmen such as cuff links, tie clips, and money clips. Don’t forget about our passion for wedding design and coordinating! From the dress to the details, we truly have you covered head to heel.